Garbage Time, as we knew it, is done. Will FS1 bring it back in a new incarnation or put Katie Nolan elsewhere? Update: FS1 has sent along this comment. Also this isn’t the only high profile move the network has made today. Garbage Time might come back, but if it does, fans of the show will likely not recognize it. Awful Announcing has learned that the show will not be renewed in its current format as the show’s contract with the network expired after the Super Bowl. While the show is technically on hiatus and FS1 has yet to announce a decision, multiple sources have confirmed the network does not plan to bring back the show, at least in its original format. 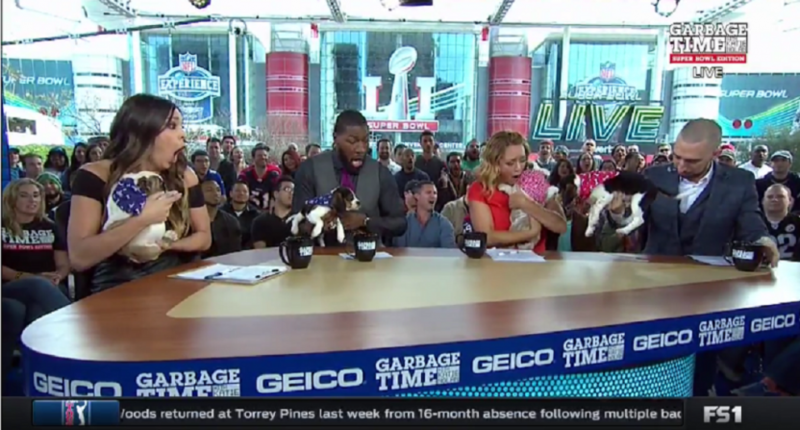 Similar to Fox Sports Live pivoting from a highlight-focused SportsCenter competitor to a late-night talk show with cheap furniture in a cramped and dimly lit room, Garbage Time could see a similar retooling which would essentially be an entirely new show, but keeping the Garbage Time name. The decision hasn’t gone over well with many involved with the show, as Garbage Time was one of the few bright spots for a network that has failed to find its footing outside of spikes from occasional big games that air on the network. The show won an Emmy and was one of the few original programs on the network that didn’t rile up critics and sports media observers on social media. That said, the decision wasn’t too surprising to many as Nolan was one of the more popular personalities on the network and her exposure was limited in a weekly half-hour show that required months off in between seasons. As one source put it, the decision was not a surprise. Both Fox and Embassy Row (Garbage Time‘s production company) declined to comment, which is not surprising as discussions on Nolan’s future with the network and a possible Garbage Time return in a different format are still ongoing. This comes at a time when the network is trying to fill out its weekday daytime lineup with a lead-in morning show for Undisputed as well as a lead-in for Speak For Yourself. Sporting News’ Michael McCarthy and king of the FS1-related scoops has linked Cris Carter and Nick Wright as likely candidates to anchor the morning show and that duo tested last week with various female hosts, including Elika Sadeghi who spent the last two years as a popular personality on ESPNU. I'd look for @FS1 to announce its new morning show sooner than later. Will enter a very crowded competitive space between news & sports. While there is some speculation Nolan could potentially slide into a hosting role with Wright and Carter (during Super Bowl week, the trio were teamed together a few times with Wright appearing regularly on Garbage Time), we’re told whatever the network and Nolan settle on, the new show (or retooling Garbage Time) would likely continue to be a Nolan-centric show, so perhaps a move to a daytime program with a more ensemble talent lineup is unlikely. It’s hard to judge the network’s decision, given we don’t know the new direction they’ll go in. Garbage Time was well received, but often hard to find given late start times due to live events. Additionally, the show would record every episode on DVRs even if you set it to record just new episodes. The show often produced clips that would hit paydirt in terms of viral distribution, but ultimately didn’t move the needle enough in the ratings or didn’t take up as many programming hours for the Dixon and Horowitz hierarchy to continue following the path it was on. 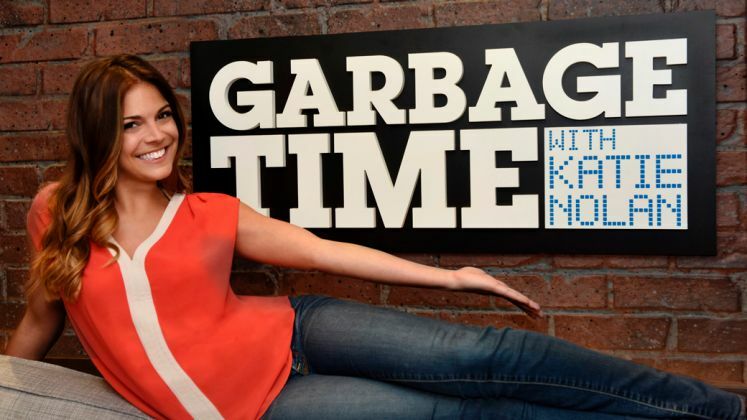 Still believe better chance of @katienolan going daily w @GarbageTime on @FS1 than not getting renewed. This is certainly one to keep an eye on, as many have speculated on the long-term fits of popular personalities who predate Horowitz’s arrival like Nolan, Jay Onrait, and Dan O’Toole given they don’t seem to fit into the network’s almost sole focus on daytime debate. You’d have to think FS1 is motivated to keep Nolan happy going forward, but it’s possible that Nolan’s ambitions going forward and FS1’s programming strategy just might not be a good long term fit.